To reserve a breeding to Raven, simply download and complete a Letter of Intent and send it along with your booking fee per mare. All Arabian foals born after January 1, 2002 must be DNA tested in order to be registered by the Arabian Horse Association. This also means that both the sire and dam must be tested. Raven has been DNA tested. If your mare has not yet been DNA tested, this test must be done before you can register your foal. 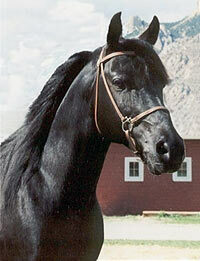 To order a DNA test, contact the Arabian Horse Association at (303) 450-4748 or go to the website: www.arabianhorses.org. The DNA test for the foal will come after you submit the foal's registration application.